This conductor penetrates the spirit of the score of the Eighth Symphony. 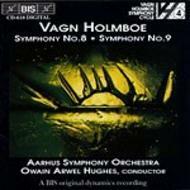 The Ninth Symphony is a dark, powerful work, among the finest Holmboe has given us. This is music which, one can feel with some certainty, future generations will want to hear.